Water sports are increasing especially in elderly population sectors who have suffered some type of muscle or bone damage. 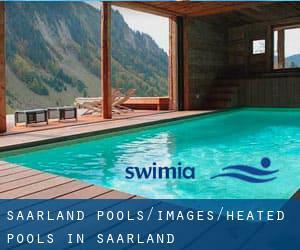 These would be the Heated Pools in Saarland other users have reported. Are you a local and your pool just isn't listed? Contact us to ADD IT. It's no cost! Swimia.com has one of the most up-to-date database about Swimming Pools. Swimia.com desires your feedback to ensure all of the information is valid, since perhaps this pool is no longer open to the public. Most in the Heated Pools in Saarland give both open lanes for independent swimming and also guided activities like water aerobics or aquabike. There are commonly discounts available to senior citizen and small children. Find out by contacting your nearest pool in Saarland. It's hard to visit Saarland without having dropping by Blieskastel (with 23.212 residents). Currently Swimia is showing you all the Swimming Pool in Blieskastel along with the closest pools located in its vicinity. Let us let you know a secret to switch off whilst you are in Völklingen: just choose a Swimming Pool in Völklingen and plunge into the water! There's no more helpful system. Without a shadow of a doubt, swimming in Wadgassen is the best solution to unwind following function. Take a couple of minutes to browse Swimia's catalog to find a Swimming Pool in Wadgassen. Whereas Sulzbach is one of the six most populous cities in Saarland with nearly 18.364 residents, you shouldn't miss that one if you're going to Saarland. Swimming is usually a superb concept to keep your body active during your visit to Dillingen (Saarland), or even if you are a local. Swimia helps you to find your closest Swimming Pool in Dillingen. Holding an estimated population of 19.115, Bexbach is among the most important cities in Saarland. Check all of the Swimming Pool in Bexbach and its surrounding area. Updated on 2019 Zur Schwimmhalle , Tholey , GERMANY (Postal Code: 66636). Swimmers like you reported 25 meters, Indoors. Phone number and email address are number for this Pool. Updated on 2019 Köllertalstraße 143 , Puettlingen , GERMANY (Postal Code: 66346). This sports center offers 25 meters, 6 lanes, Indoors. For this Pool, only phone number is number here. Updated on 2019 Am Hallenbad , Differten , Wadgassen , GERMANY (Postal Code: 66787). This sports center provides 25 meters x 10 meters, Indoors. For this Swimming Pool, only phone number is number here. Updated on 2019 Wintringer Straße 88 , Kleinblittersdorf , GERMANY (Postal Code: 66271). Among all the activities offered by the center, in case you are thinking about swimming you will enjoy 25 meters, 5 lanes, Indoors. Just in case you would like to get in touch with this Swimming Pool before dropping by, we only know the phone number. Updated on 2019 Saarwiesenring 3 , Merzig , GERMANY (Postal Code: 66663). This sports center offers 25 meters, 4 lanes, 1.8 meters - 3.6 meters depth, 1.8 meters - 3.6 meters depth, Indoors. Contact info for this Pool just like phone number and email address are number. Updated on 2019 Trierer Straße , Nonnweiler , GERMANY (Postal Code: 66620). This sports center offers 25 meters x 7 meters, Indoors. Contact information for this Swimming Pool for instance phone number and email address are number. Updated on 2019 Entenweiherstraße , Homburg , GERMANY (Postal Code: 66424). This sports center gives 25 meters x 12.5 meters, 6 lanes, Indoors. For this Swimming Pool, only phone number is number here. Updated on 2019 im Schulzentrum (Schwarzer Weg) , Illingen , GERMANY. This sports center delivers 25 meters x 12.5 meters, 5 lanes, Indoors. Contact information and facts for this Pool like phone number and email address are number. Updated on 2019 Holtzendorffer Strasse , Saarlouis , GERMANY. Among all the activities provided by the center, if you're interested in swimming you will enjoy 25 meters x 12.5 meters, Indoors. Just in case you want to contact this Swimming Pool before dropping by, we only know the phone number. Updated on 2019 Georg-Nadler-Straße 5 , Ebern , GERMANY (Postal Code: 96106). Among all the activities offered by the center, when you are keen on swimming you are going to appreciate 20 meters, 4 lanes, Indoors. Just in case you would like to make contact with this Pool prior to dropping by, we only know the phone number. Updated on 2019 Auf dem Sabel 6 , Perl , GERMANY. Swimmers like you reported 25 meters x 10 meters, Indoors. Unfortunately we do not have the email address of this Pool, but we can give you the phone number. Updated on 2019 Will-Graf-Straße , Sankt Wendel , GERMANY (Postal Code: 66606). This sports center offers 25 meters x 10 meters, Indoors. For this Swimming Pool, only phone number is number here. Updated on 2019 Nordring , Wadern , GERMANY (Postal Code: 66687). Among all the activities supplied by the center, if you are interested in swimming you might take pleasure in 25 meters x 12 meters, Indoors. Just in case you would like to get in touch with this Swimming Pool before dropping by, we only know the phone number. Updated on 2019 Höcherberghallen , Am Sportpark 2 , Bexbach , GERMANY (Postal Code: 66450). This sports center gives 25 meters x 12.5 meters, Indoors. For this Swimming Pool, only phone number is number here. Updated on 2019 Am Schwimmbad 2 , Altenkessel , Saarbruecken , GERMANY (Postal Code: 66126). Among all the activities offered by the center, when you are thinking about swimming you'll enjoy 25 meters x 12.5 meters, Indoors. Just in case you want to contact this Swimming Pool before dropping by, we only know the phone number.